Just a few months ago I found myself in a unique situation. On my desk, right under my nose, sat five of the latest satellite messengers and PLBs on the market. I was several weeks into a comprehensive product review for Overland Journal and the final unit had just arrived––the Delorme inReach SE. This was the device I had been anxiously awaiting as it had been preceded by a great deal of hype. After using it extensively in the subsequent weeks, I began to see what all the fuss was about––it is a brilliant product. What makes the inReach SE such a leap forward in satellite messaging is the addition of the LCD screen. Previously, two-way messaging via devices like the SPOT Connect or the original Delorme inReach required those devices to be paired to a Bluetooth enabled smartphone or tablet. For backcountry travel, that’s not an ideal scenario given how fragile most smartphones are. It also adds a second battery to maintain, and from our experience, pairing Bluetooth devices can come with some inherent challenges. With the addition of a display, the inReach SE (Screen Edition) becomes a durable, simple, stand-alone two-way communicator. To facilitate the sending and receiving of messages, the inReach SE relies on a virtual keyboard, which I admit is not a perfect solution. Even the best virtual keyboards are slow and awkward, so most users will still use their smartphone as the primary user interface. 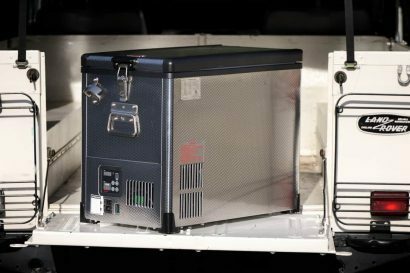 That minor niggle aside, sending and receiving messages is easier than expected and the unit can store a number of pre-set messages to make sending communications quick and easy. What I like most is how the messages are formatted on the recieving end. When a recipient gets a message on a smartphone, tablet or computer, that message is paired to a hyperlink. A quick tap on the link opens up a map page showing the exact location where the message was originated. As a messenger, the inReach SE deserves high marks. You can even push your comments to Twitter or Facebook if you’re in that crowd. One last messaging detail worth mentioning is the audible message confirmations. 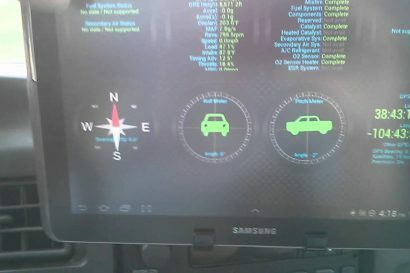 When your message is sent, a series of beeps and an easy to read icon on the screen confirm the message was delivered. Sounds like an unimportant feature until you send an important communication. Knowing it will be received is comforting. The inReach mobile app is well designed, easy to read and use, and streamlines the features of the inReach SE. Tracking features are important for solo travelers, and the inReach SE has well developed tracking abilities. For most of us, we’ll likely use some of the more basic functions with greater frequently. The tracking features of the inReach SE are easy to activate, permit a range of tracking intervals, and don’t demand too much power. In full tracking mode, I found I could get at least 80 hours of juice out of the internal lithium battery, which I thought was amazing. For longer journeys, keeping the battery charged may be a challenge for those without a reliabe charging source. The most important function the inReach SE can perform is to call in the cavalry if things go pear-shaped. The SOS button is easy to find and is protected by a secondary locking switch. Should unfortunate events unfold and warrant a genuine rescue, pressing the SOS button sends a signal to the GEOS response center in Texas. Once they get the signal, they begin initiating emergency communications with the device user, as well as the contacts listed with that unit. Once the status of the emergency is confirmed, they begin to dispatch the necessary first response agencies. Here again, having a two-way messenger is a tremendous asset. Rescuers can communicate with the party in distress to facilitate a rapid rescue, assess injuries, and assure the user that help is indeed coming. On the whole, the inReach SE is a great device, but how about the cost to use it? The initial purchase hit isn’t too bad at $300. 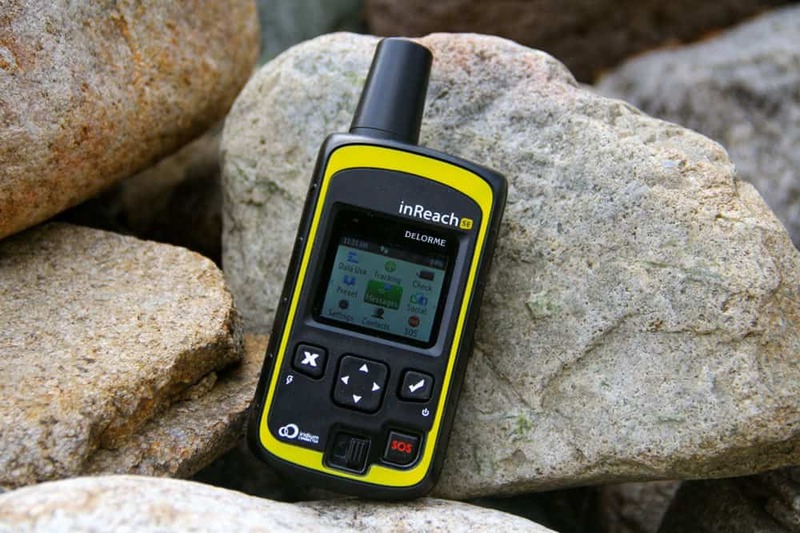 The inReach SE is well made, rugged, and by my accounts worthy the asking price. It does require a subscription, and this is where things can get a touch expensive. 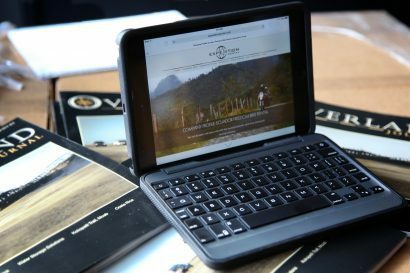 Although Delorme offers a few different subscription plans, anyone expecting to use it regularly for backcountry messaging will have to pony up $50 per month. For those needing the basics, $10 will cover 10 messages per month, but you’ll sacrifice the tracking feature. We’re of the opinion the tracking feature on any device is key for anyone traveling solo. If you can’t press the SOS button, concerned parties can at the very least view your latest tracks to see where to start the search. There is however, the option of a seasonal plan with a four month minimum commitment. That’s a rare and attractive option for those who may not need the service for portions of the year. If you dive in head first and pop for the Expedition subscription with unlimited messaging, the first year of ownership will set you back $900 including the purchase of the inReach SE device. That’s a lot of cheese, but being dead in a ditch has its own associated fees. It will be interesting to see where satellite messaging device go from here. If Delorme can find a way to add a proper keyboard to the next iteration of the inReach, that would make it a near perfect device. As it is, it’s pretty amazing.